Turf Lovers: Don't let your lawn down this winter! Did you miss the Autumn lawn care rush? Not to worry, there’s still plenty of TLC you can do this winter to ensure you lawn stays as green and healthy as can be throughout the winter months. We are lucky on the sunshine coast to have mild winter, but while we are snuggled up inside, our lawns are braving neglect as well as the early morning frost. Here’s out tips for keeping your lawn lovely and luscious all through the cooler months. Just because the sun might not be beaming down on your lawn all day, doesn’t mean it your lawn won’t dry out. Make sure you lawn continues to get its weekly drink of water, of course taking into account any rainfall you have had. One mistake a lot of Aussies make is assuming that frost is a good as watering and that if the weather is cold you don’t need to worry, which is a mistake your green grass will pay for. 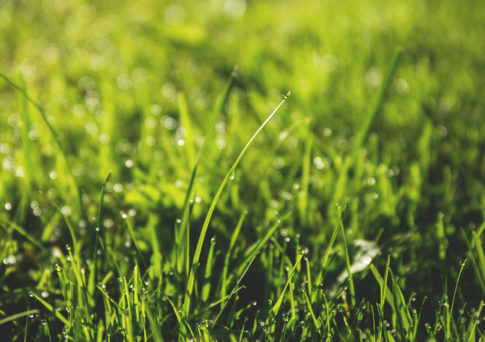 In winter, your lawn is mostly dormant, so there’s no need to fertilise unless your lawn is in dire trouble. By late August, you can give your law a good dose of fertiliser, which will bring it back to life for the spring and summer seasons. We recommend the Go Turf Pro Spring Blend Lawn Fertiliser to feed, nourish and strengthen your lawn for up to 3 months. This quality fertiliser contains higher Nitrogen for effective spring growth. If you have leaves dropping onto your lawn during the winter seasons, make sure you rake them up as they will block the vital (and limited) sun from reaching the grass underneath. This can hinder water, oxygen and necessary nutrients from being absorbed by the turf and cause the grass to become susceptible to disease, pests and brown spots. Follow these tips and have a lawn that’s ready for action come spring and summer. Find your lawn is unsalvageable or don’t even have one? Give our friendly team at GoTurf a call on 1300 781 175 or enquire online today. We are a Turf Queensland accredited grower with the best selection of advanced grass varieties to cater for all your turfing needs. We pride ourselves on growing and delivering fantastic grass suited for South East Queensland conditions, at an economical price ensuring our clients receive nothing less than fuss free awesome service!